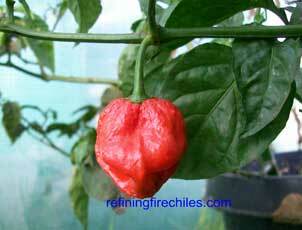 Bonnet pepper, named for its tam-o’-shanter shape and commonly known by the middle of the nineteenth century as Scotch bonnet, was eventually recognized as a distinct species, C. chinense. It is close related to the bird pepper, but is distinguished by the characteristic branching of its stalks, or pedicels, as well as by the shape of its fruit. C. chinense is now the most commonly cultivated and most highly esteemed of the peppers in the Caribbean region, described in flavour science as bearing “extremely pungent” fruit of variable size and colour.. The plant is small, generally growing to less than a metre, while the one- to twelve-centimetre-long fruits vary “from spherical to elongate, smooth and variously wrinkled and when mature may be red, pink, orange, yellow, or brown. 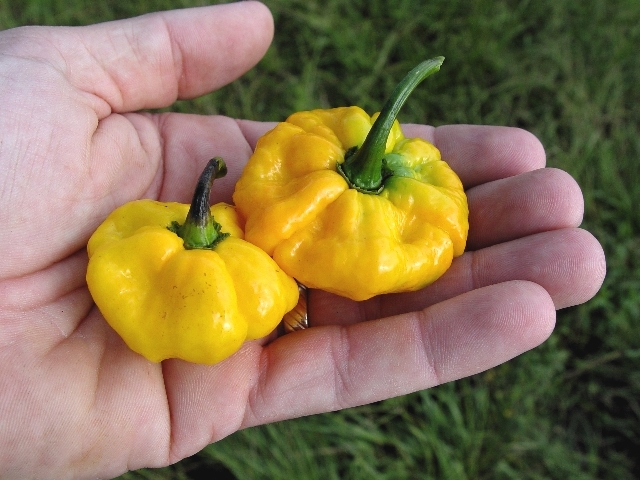 The seed margins are usually wavy and rarely smooth.” By 2002 the Scotch bonnet was recognized as one of Jamaica’s continuing competitive non-traditional export crops. 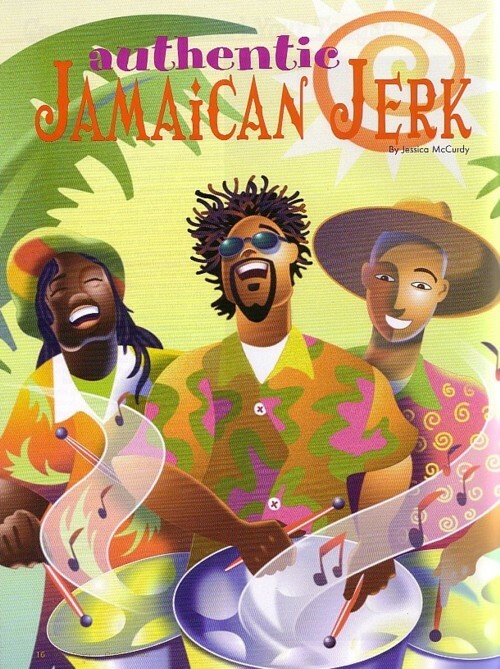 It can be eaten raw with a meal, boiled in a pot of soup (taking care that the pepper does not burst and removing it carefully before serving), cooked in rice and peas or used to make seasonings for meat, including jerk. 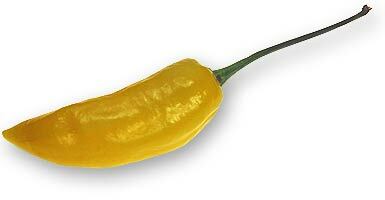 The seeds are regarded as their most potent element and are generally extracted or otherwise not eaten. * A Scotch bonnets may be held down with a fork while it is being sliced, to prevents the scorching juice from being moved from the finger to the eye or some other sensitive body part. 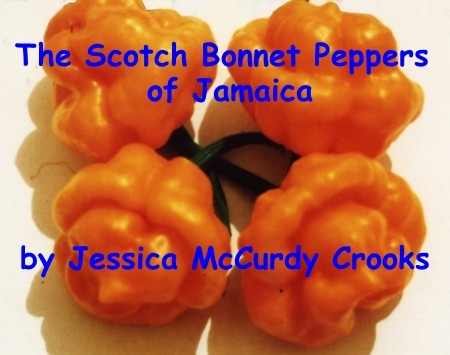 A related story, “The Scotch Bonnets of Jamaica,” is here.